A one-day conference on Public Law 280 and working solutions between tribes and local/state partners. Local government leaders, law enforcement, and tribal representatives in the Northern CA region are invited to attend. 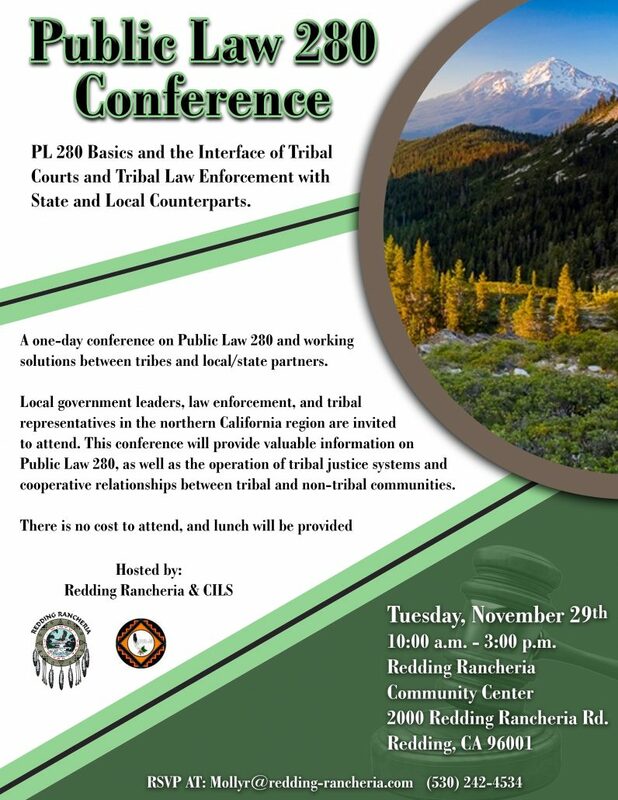 This conference will provide valuable information on Public Law 280, as well as, the operation of tribal justice systems, and cooperative relationships between tribal and non-tribal communities.